After one of the worst winters on record in half a century (1963 was the last time that we had so much snow and such consistently low temperatures in the UK) it's not surprising that spring is dragging its heels and the bulbs we so look forward to here in April are slow to bloom. 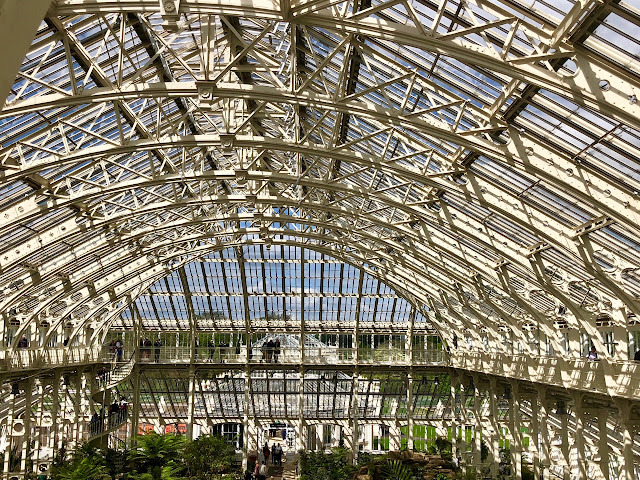 But finally .... they are beginning to appear and if you choose your destination carefully, you'll be rewarded with wonderful spring daffodil displays. 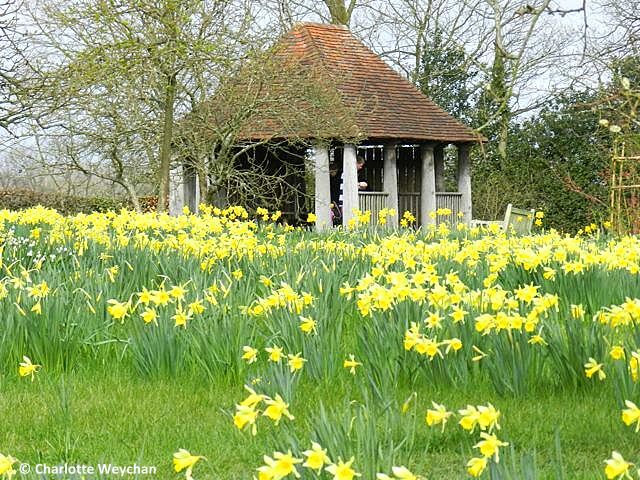 Kent is a good place to start if you're in search of spring colour. Godinton House has one of the best daffodil displays I've seen yet (top), but there are many other gardens coming into bloom right now, including Doddington Place, renowned for its tulip displays and Sissinghurst (below), where you'll be rewarded with views over the surrounding countryside from the top of the tower. 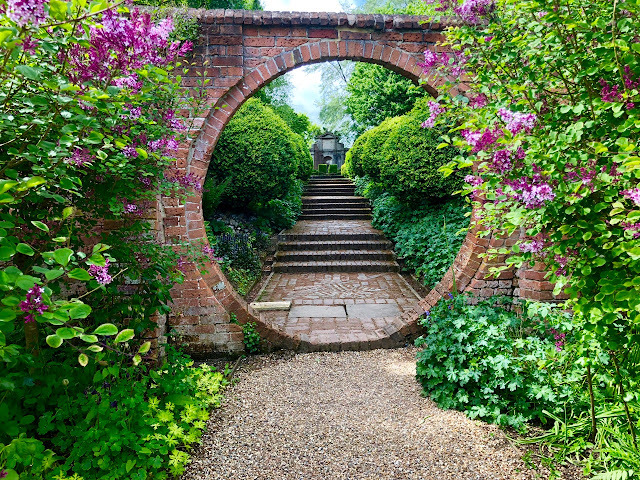 Closer to London, there's Emmetts with its fine views over the Weald and oceans of spring bulbs and Hever Castle which is always worth visiting in springtime. 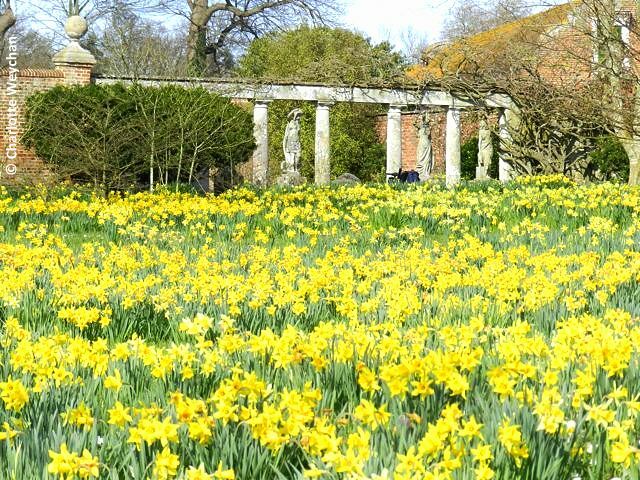 Hampshire is another destination to head for if you're in search of spring bulbs. 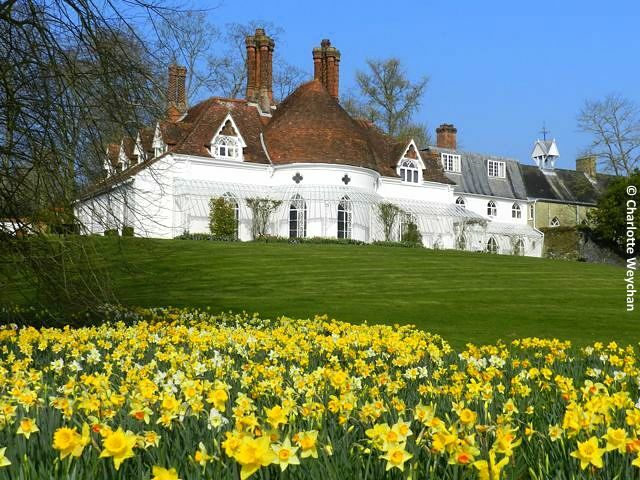 The daffodil displays on the driveway to Longstock Nursery will leave you gasping (below), but there's also many exceptional spring gardens around the county, including Heale House and Houghton Lodge, within a stone's throw of each other and the Sir Harold Hillier Gardens in Romsey, where spring is one of the most rewarding seasons. 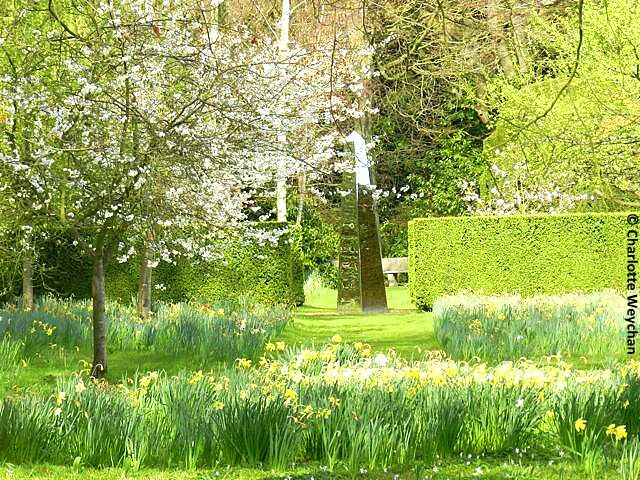 Great British Gardens publishes a list of gardens around the UK renowned for their daffodil displays while The Daffodil Society will tell you all you need to know to sow, grow and go to see more exceptional spring showings around Britain. Expect to see these flowers for a while yet because spring is so late this year and with the prolonged cold spell in March, the tulips are lagging a long way behind. Wow a field of Gold just perfect a lovely blog Charlotte . Daffodils always make me feel happy. How wonderful these photos are, and how blessed you are to see them in real life. So beautiful.......Wish I could be there. Really breathtaking pictures ! Wow ! Holy smokes! Now those photographs definitely made me jealous! What beautiful daffodils. Daffodils and forget-me-nots are my favorite springtime flowers. Wonderful photos. Thank your for the lovely photographs from daffodils. 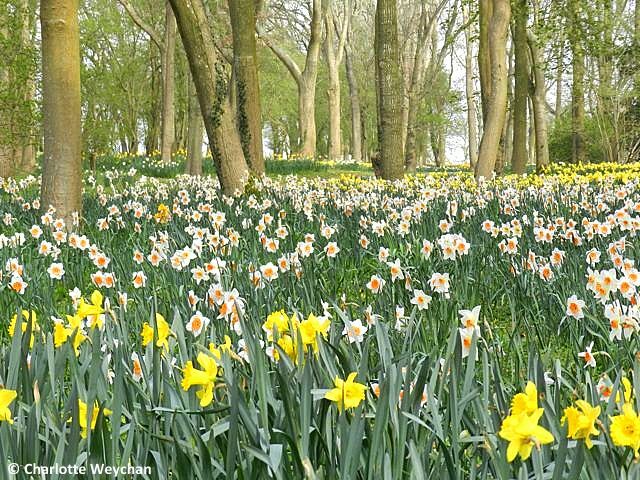 So glad that Spring is now unfolding in the UK What a lovely lavish display of daffodils. Here in New England we have been on a slow Spring start as well.